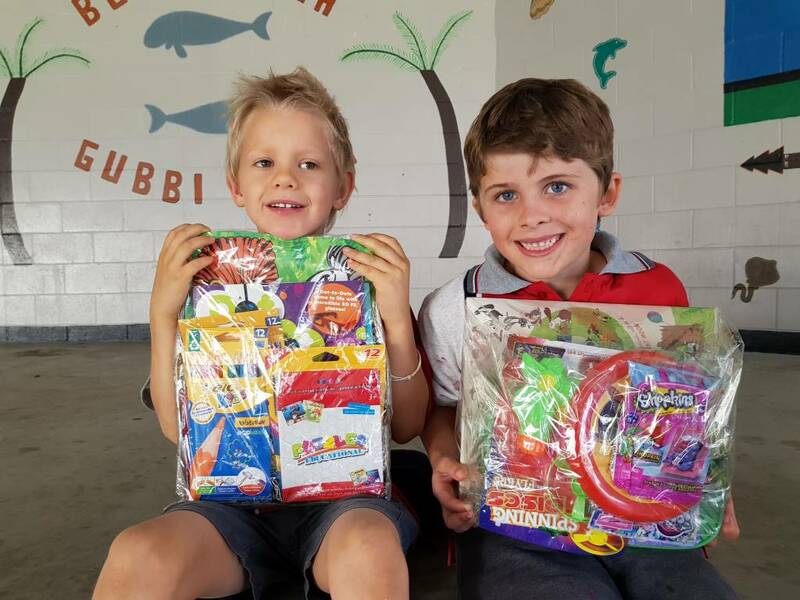 Under 8’s day lucky draw prize winners Zeff Wakerling (L) and Luke Richardson. Save the Date, October 13, 2018 as we have finally settled on a date to celebrate our 20-year, ‘Back to the Bay’ and the lost arts of yesteryear. We wish to invite past and present staff and students, community members and visitors to enjoy a fun-filled day at our school. There will be displays, stalls and performances throughout the day. If you would like to volunteer or if you can help, please contact Annette Bailey on 5486 4700 or 0417 864 080. We are also hoping to hold a plant stall, plus an arts and craft stall, so we are seeking empty pots and craft items to sell, please contact the school if you can donate. We are also looking for recipes from community members and past students. Please send these to email: tcb20yr@outlook.com and include your name and phone number. The school was fortunate to have an excellent fundraising opportunity at Bunnings Gympie with a Saturday BBQ. Although it was freezing (only four degrees) at 6.30 am, we did manage to thaw out and have a great day. A big THANK YOU to the parents and staff who came along to help. We sold 576 sausages and made a profit of $1243.63 – WOW! Embracing the national theme, ‘children exploring language and culture’, participants from prep to grade 4, as well as Kids Bizz and C&K kindies, interacted with girl guides, indigenous leaders, fire personnel and local police. Another big thank you goes to Tin Can Bay News and IGA for donating prizes and Woolworths Cooloola for supplying a yummy fruit morning tea. Do you have an uplifting short film? Hi Heatley & Michelle, I have been meaning to write for the last few months, as I so enjoy the Rainbow Beach Cooloola Coast Community News, that you put together each month. The August & September issues were exceptional. What a great service you provide us and all our visitors and guests, in producing such a readable and informative paper.